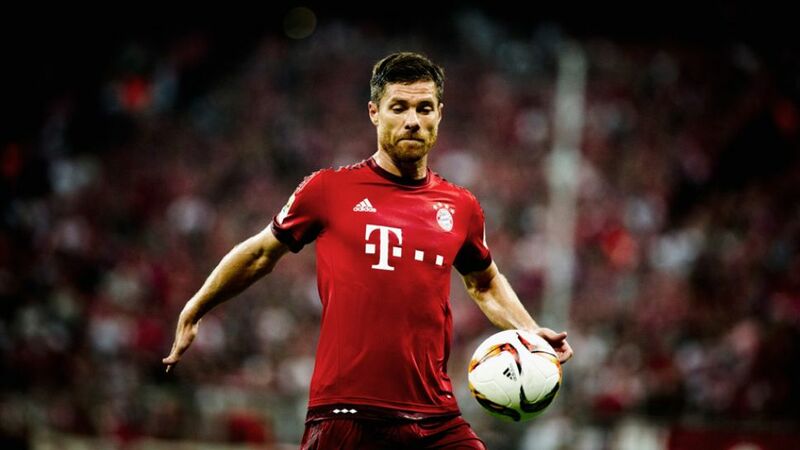 Xabi Alonso is bidding to win the Champions League for a third time, with a third different club. With a DFB Cup final berth secure and just a few more points needed to wrap up the Bundesliga title, FC Bayern München's attention is slowly starting to turn to their third objective this season: the UEFA Champions League. They face 2014 beaten finalists Club Atletico de Madrid over two legs for a place in the Milan final, and bundesliga.com caught up with Bayern's Spanish midfielder Xabi Alonso to discuss the upcoming tie. Xabi Alonso: There's no such thing as favourites in a Champions League semi-final. bundesliga.com: You say that because Atletico have knocked out FC Barcelona, the title holders? Alonso: I could do, but even if Atletico had knocked out any other top team, I would still think the same. This just goes to show that Atletico are a really top club. "I really hope that I can lift the trophy in the air for the third time in my career with a third club"
bundesliga.com: What does this semi-final mean to you personally? Alonso: It's going to be my ninth Champions League semi-final and I really hope that I can lift the trophy in the air for the third time in my career with a third club. But like everybody here, I desperately want to reach the final. "We've got to keep cool heads and not have any fear of the atmosphere there"
bundesliga.com: We've spoken about the special atmosphere at the Estadio Vicente Calderon, but their passionate coach Diego Simeone adds a further dimension too, doesn't he? Alonso: He's all about passion, and he brings that across in every situation. His passion is contagious and impressive, but we've got to keep our cool and not have any fear of the atmosphere there.